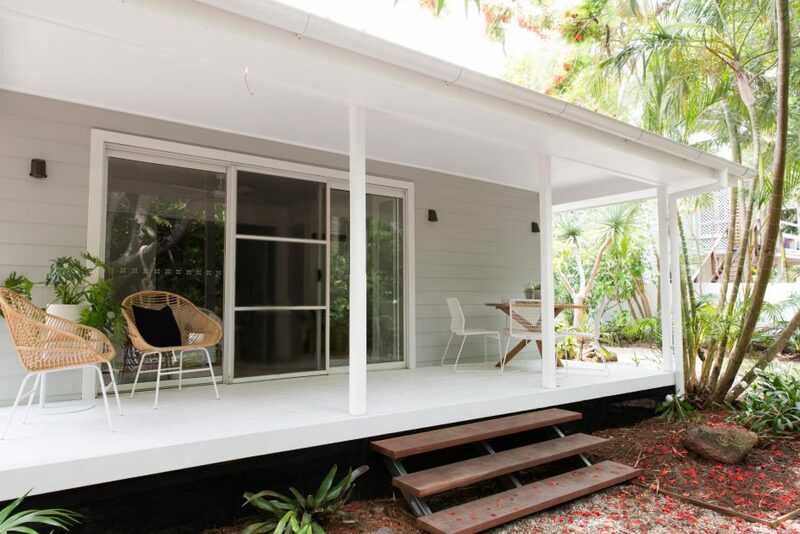 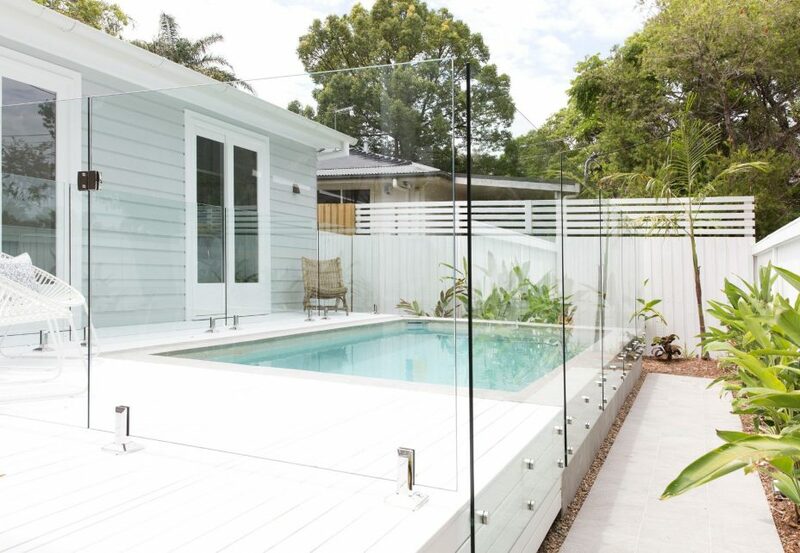 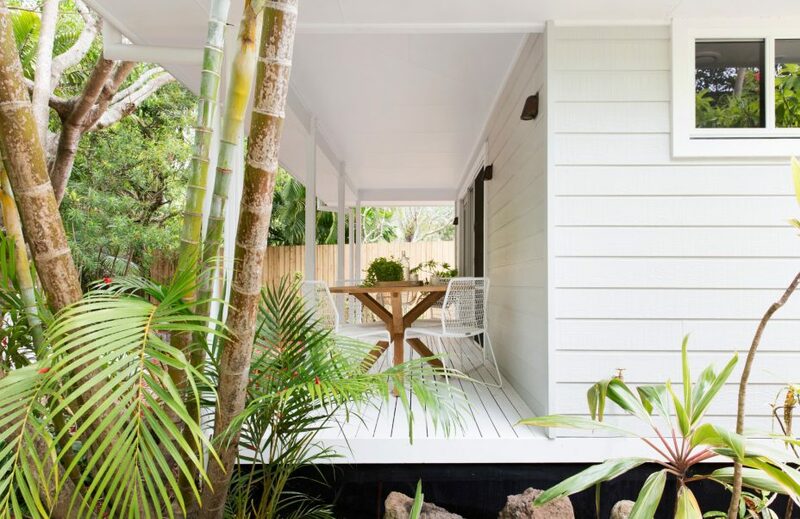 Byron Bay Beach House, located 200m from town centre and 800m to beach. 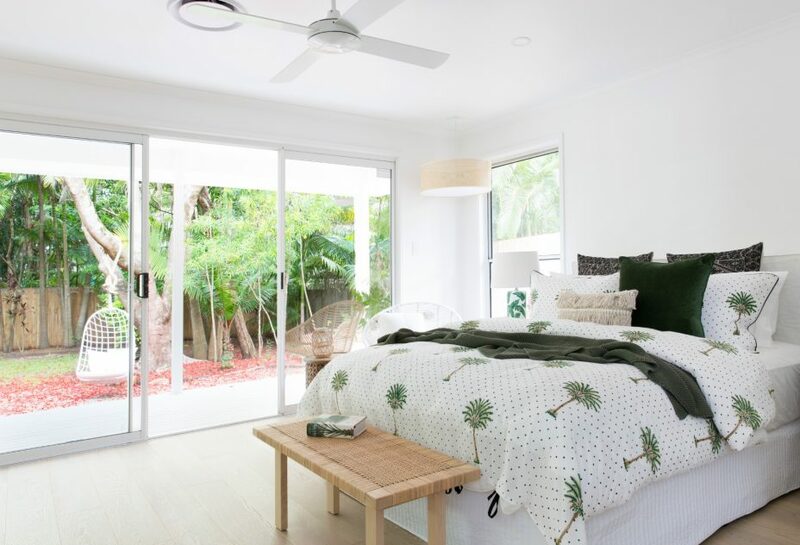 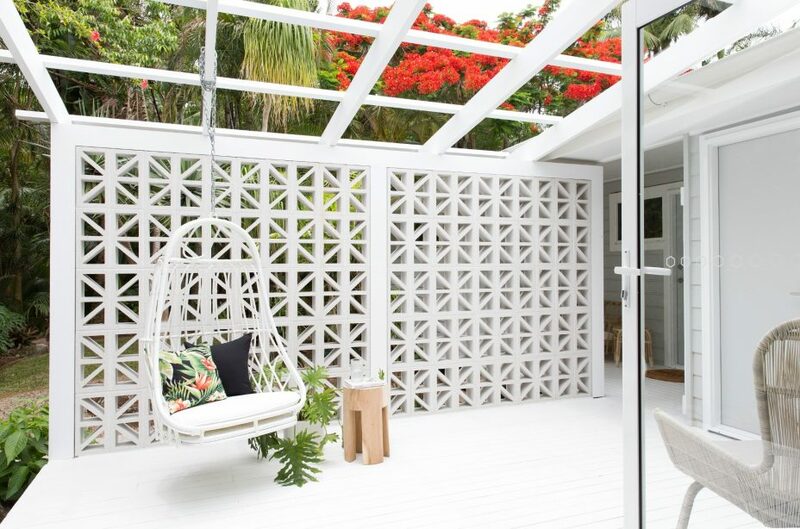 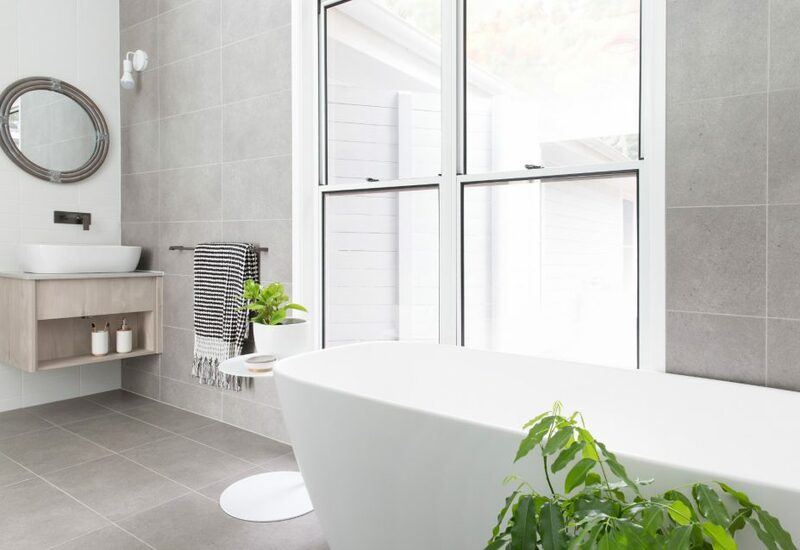 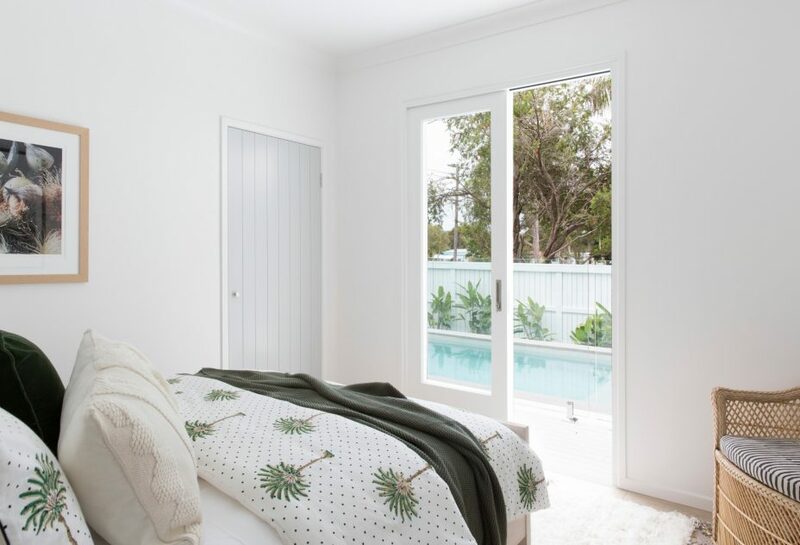 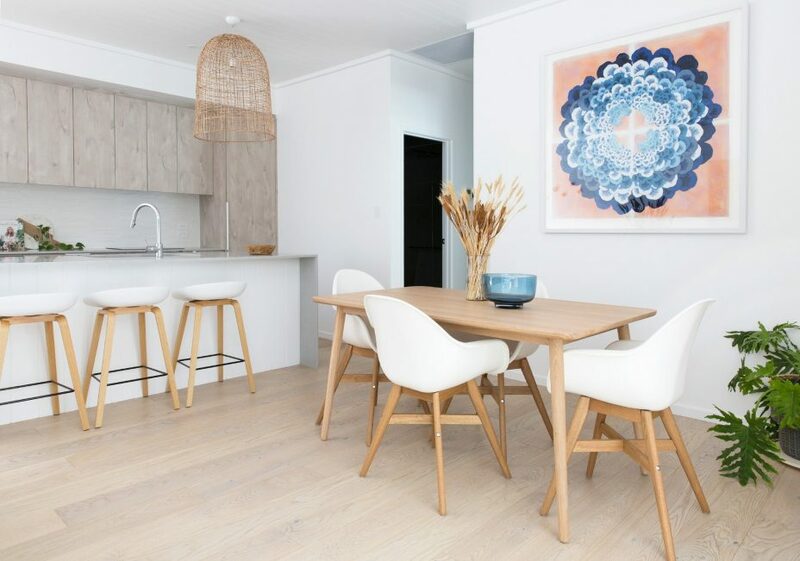 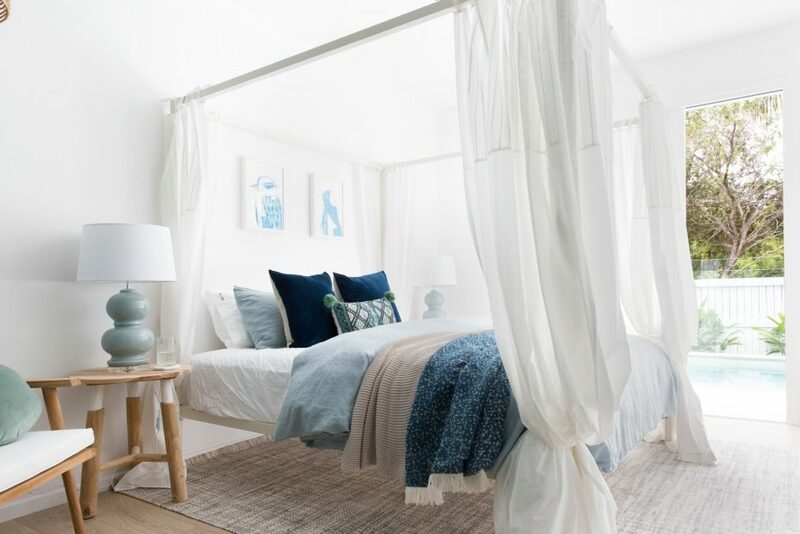 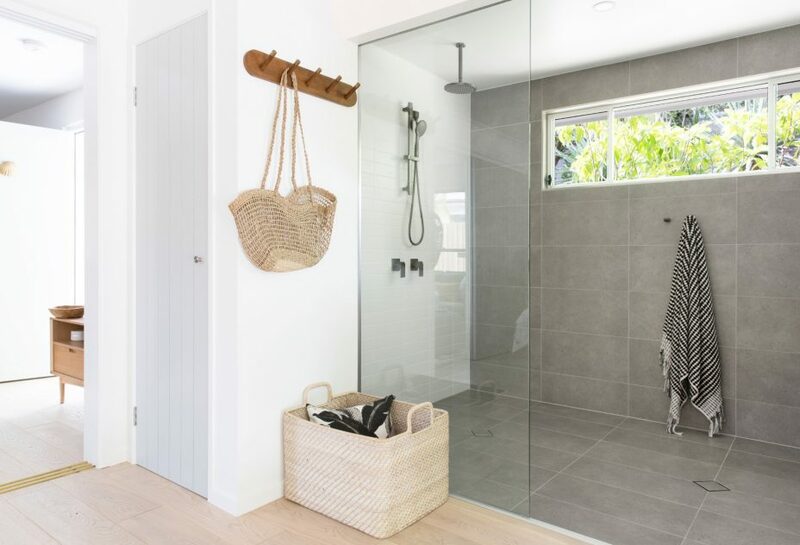 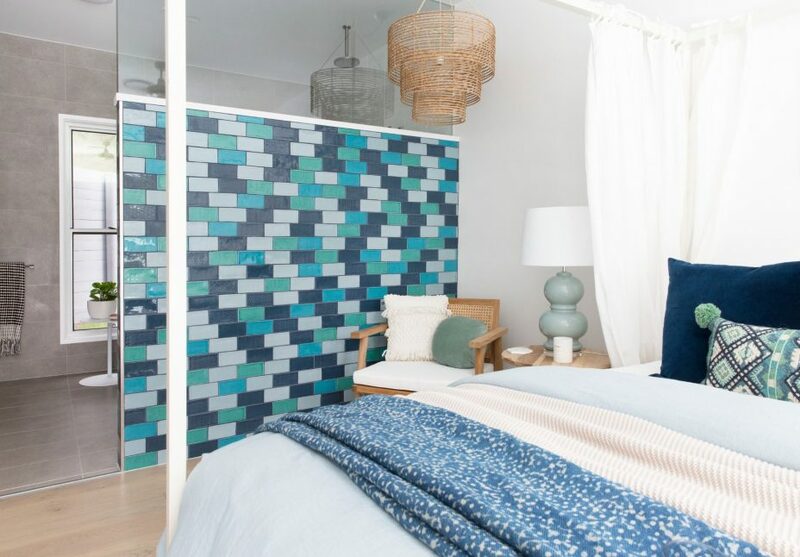 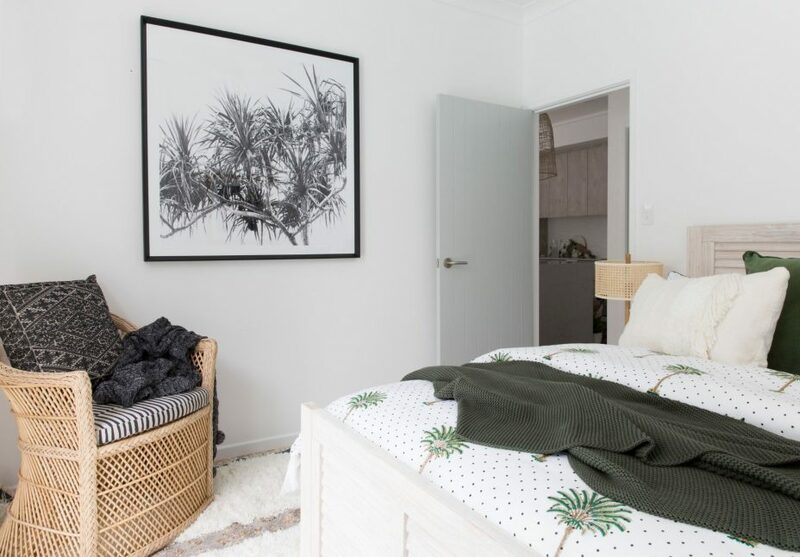 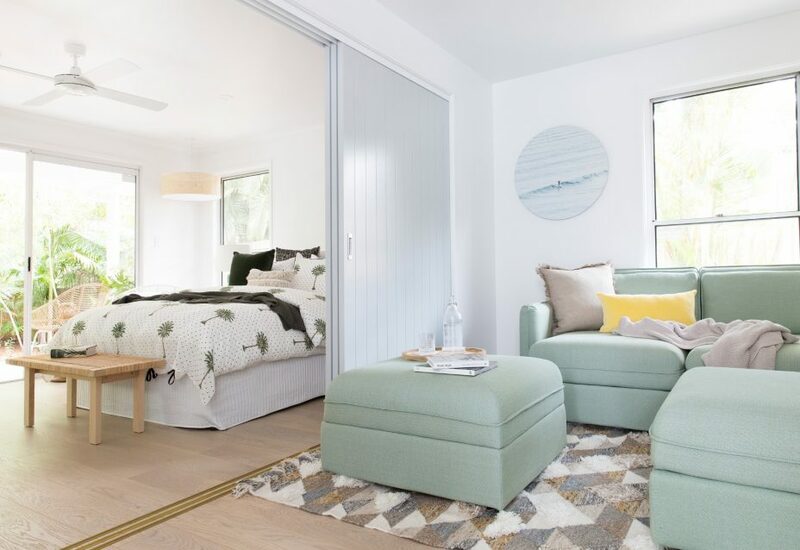 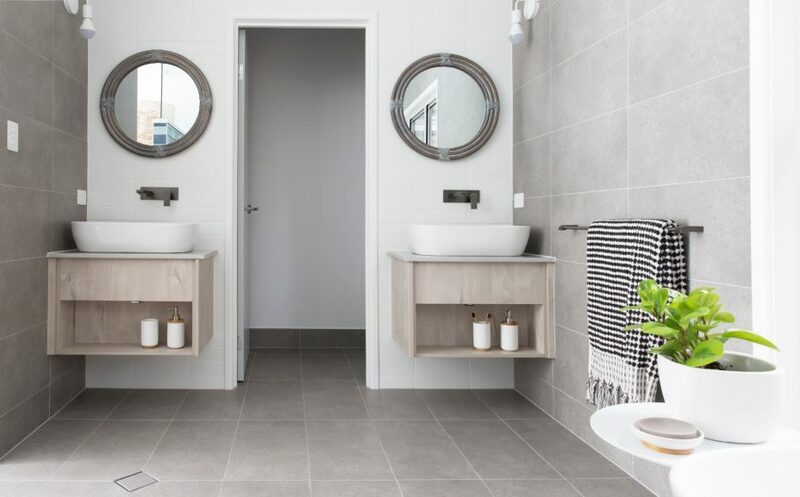 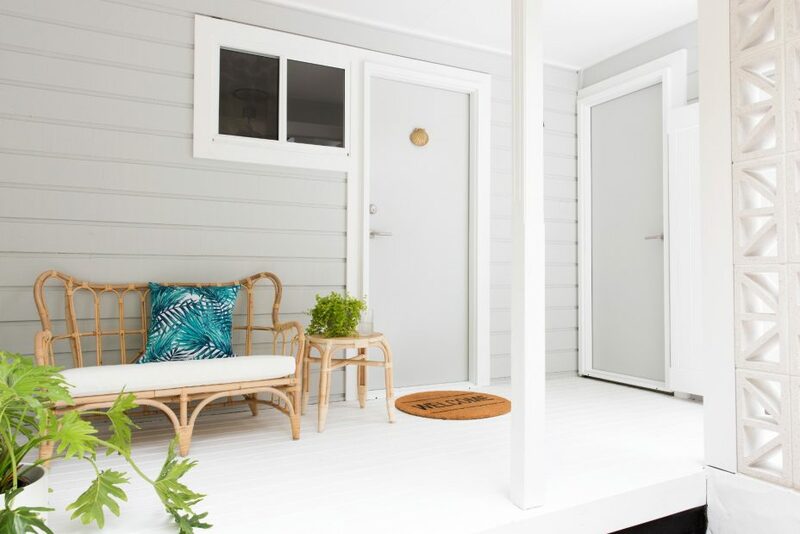 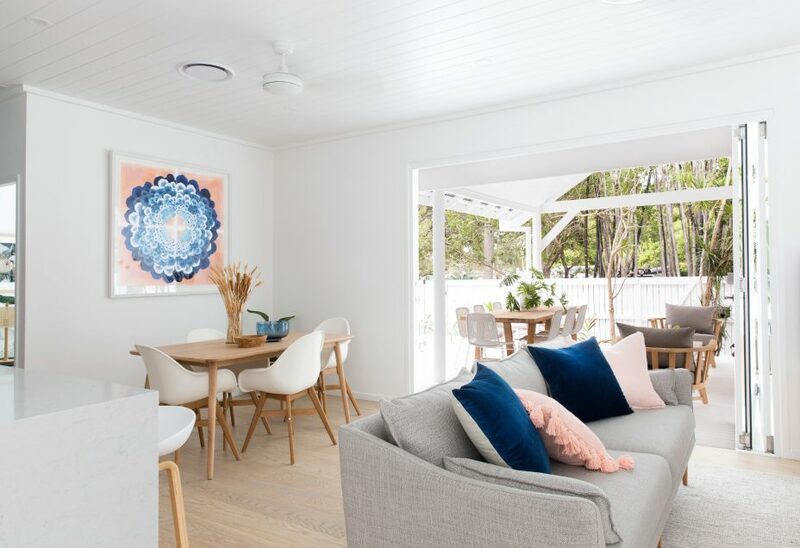 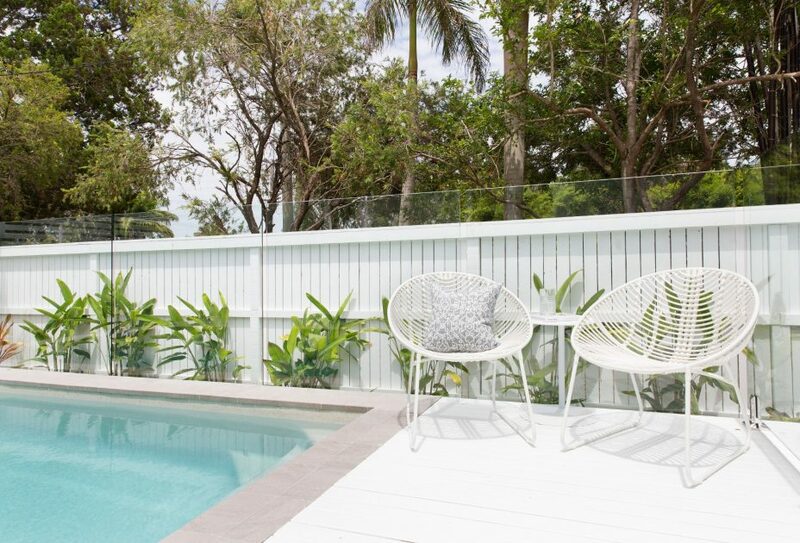 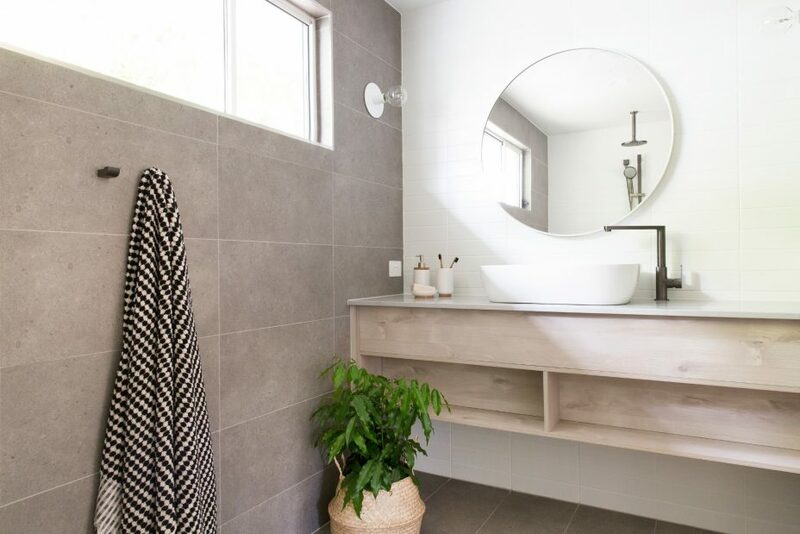 Discover the best of Byron Bay at Barrel and Branch – a fresh and modern 3 bedroom, 3 bathroom beach house, located only 200m from Byron Bay town and just 800m from the beach. 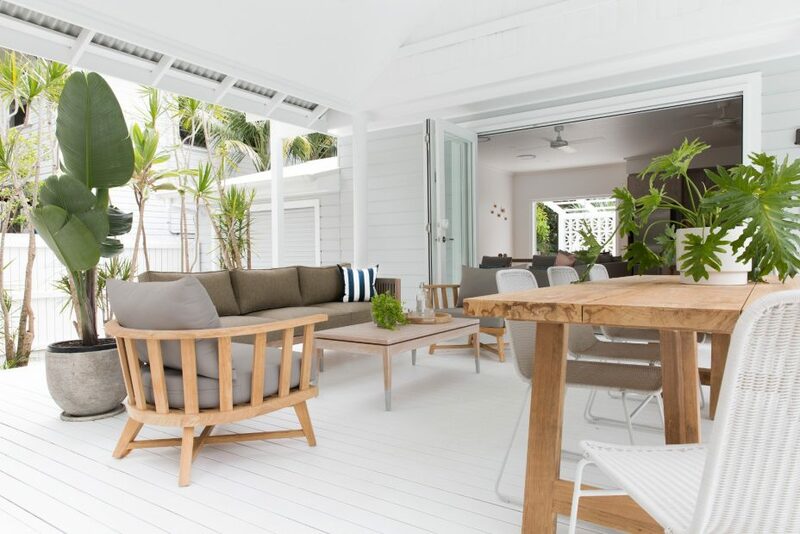 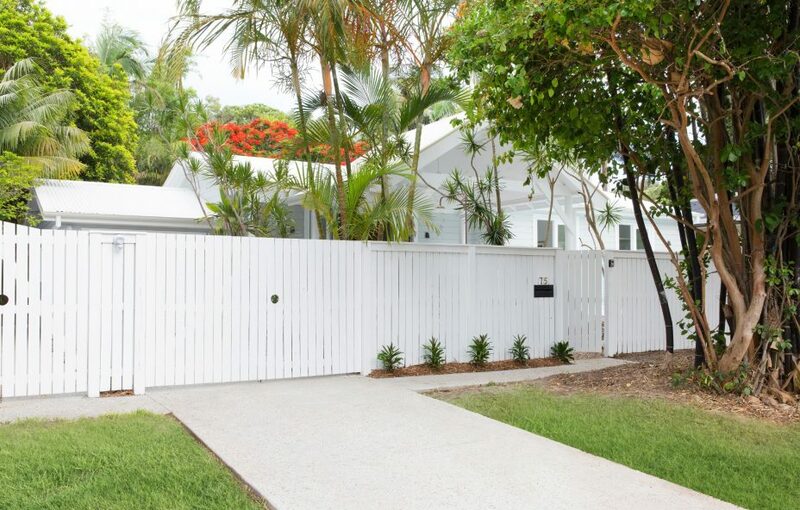 With a crisp white weatherboard exterior and a gorgeous sun-drenched front porch with wicker sofa, Barrel and Branch beckons with warm, inviting beachside charm. 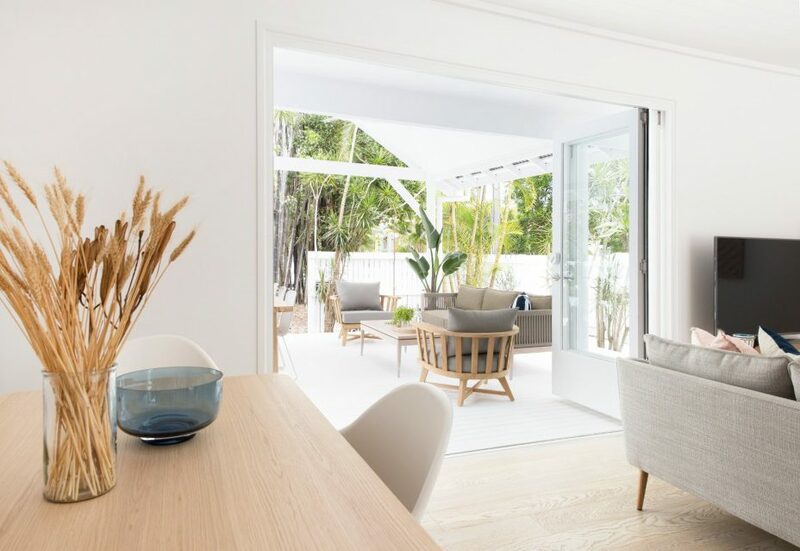 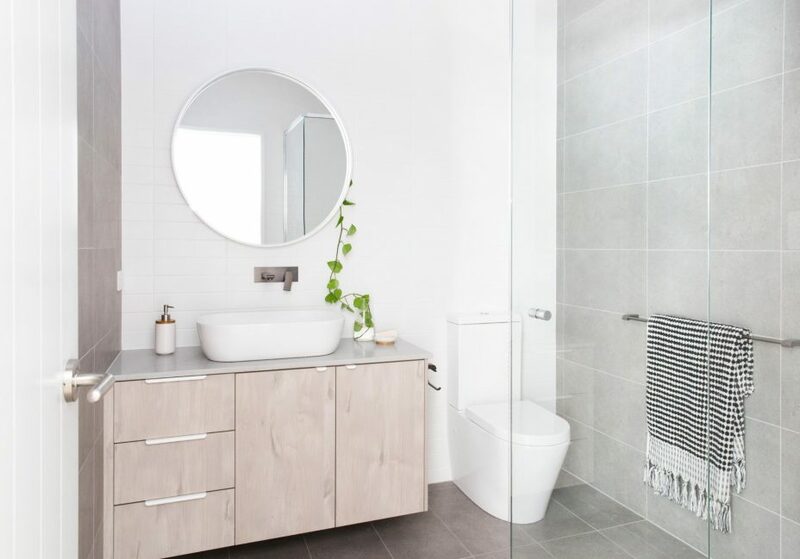 Inside, the home is light-filled and open, with a modern luxe beach styling, including crisp white interiors, timber finishes and furniture and raw and natural fibres throughout. 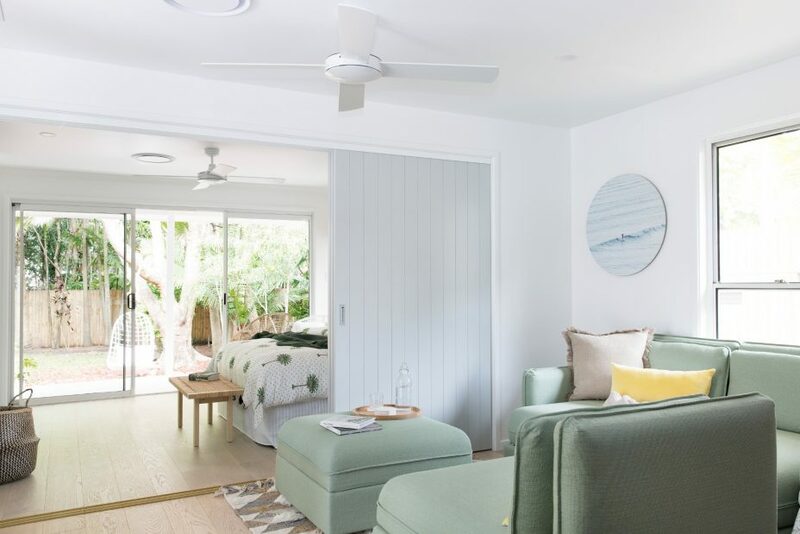 The main house features open plan living, dining and kitchen and two spacious and plushly furnished bedrooms and two resort-style bathrooms (one with bath). 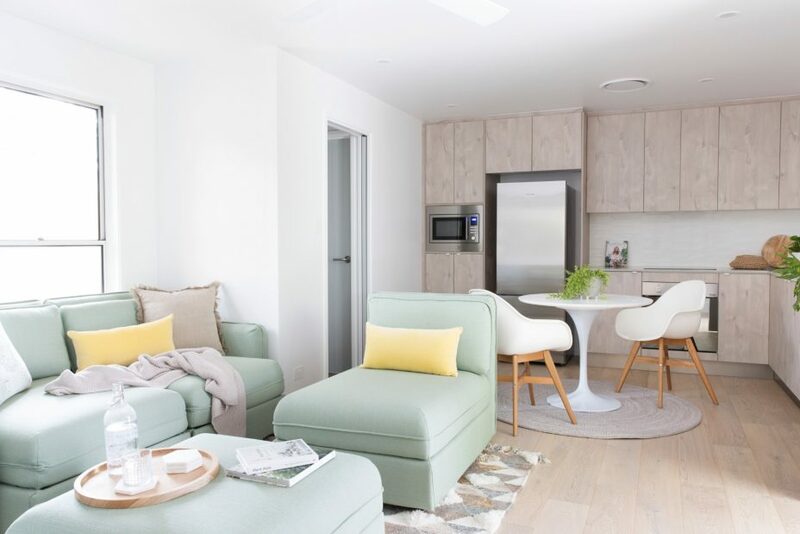 An additional studio comes complete with a separate bedroom and ensuite and fully functional kitchen. 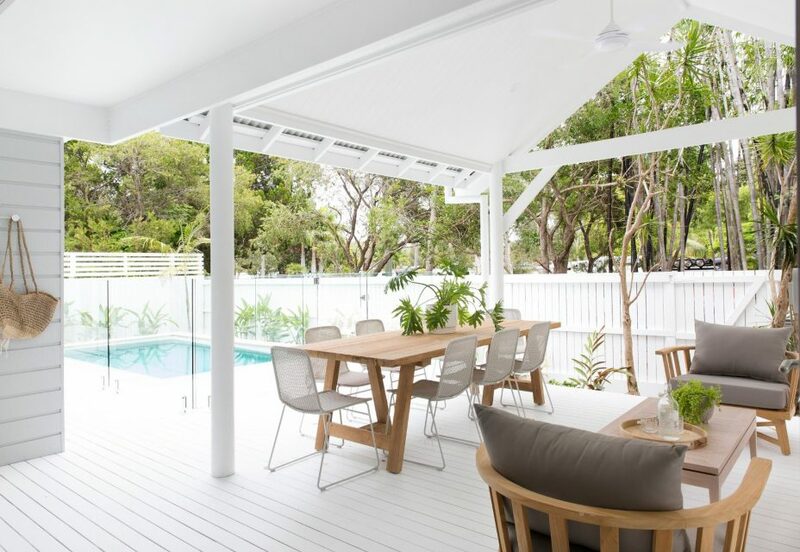 Choose from multiple outdoor entertaining spaces – step out from the indoor living to stunning outdoor living, with a large timber decked outdoor area, covered by a stunning A frame roof. 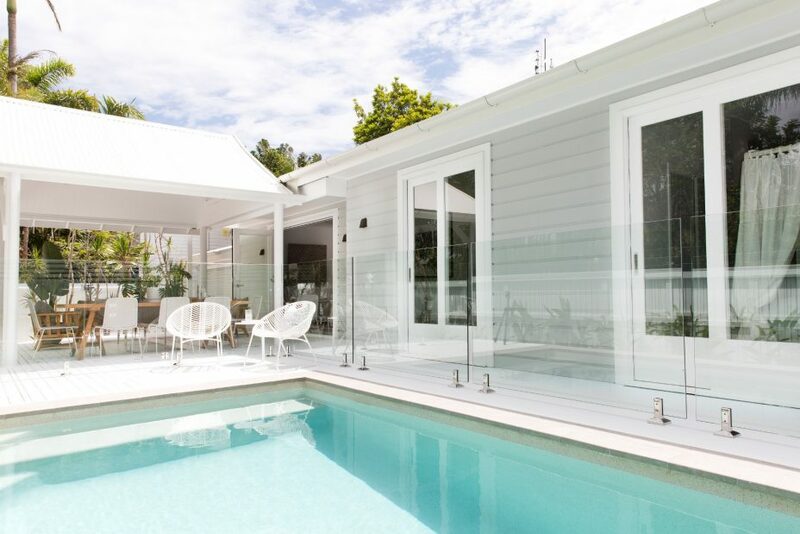 Dine al fresco, right by the pool, at the 8 seat timber outdoor dining setting or relax in on the plush outdoor lounges or sofa. 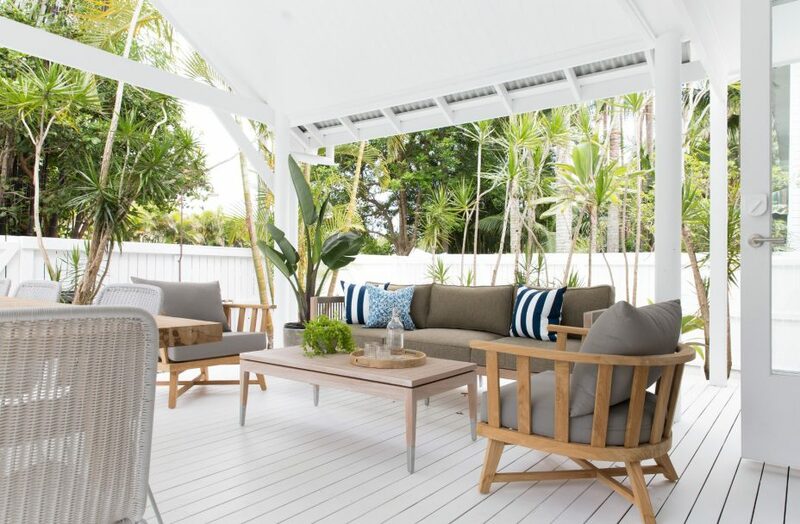 Swing in the balmy Byron breeze, with your best holiday read, on a swing chair beneath the pergola on the patio. 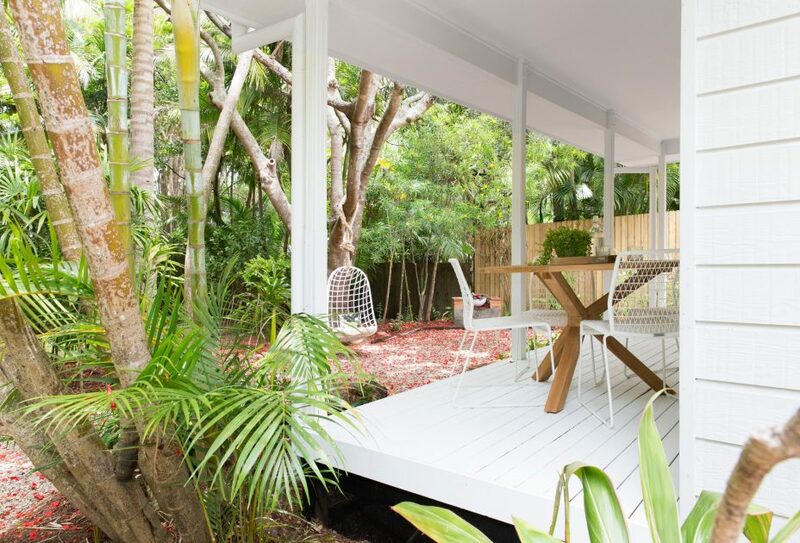 The studio also features a covered timber deck with dining and outdoor seating, within the peaceful tropical gardens. 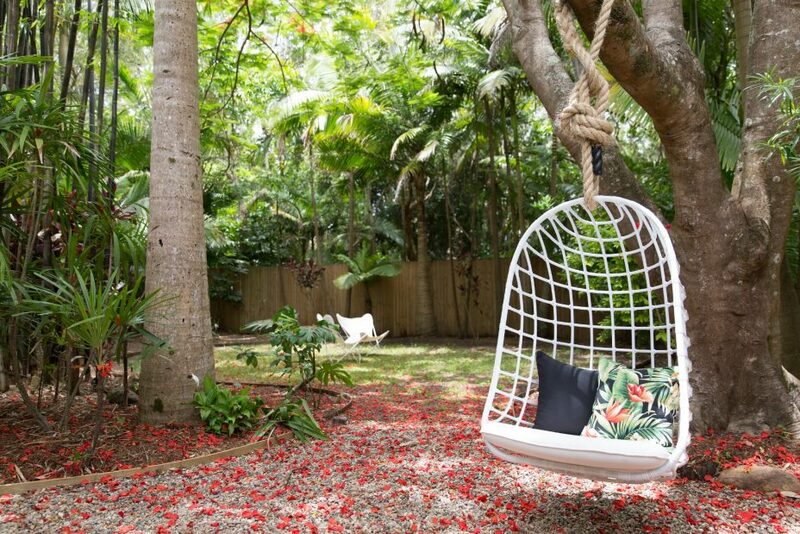 Enjoy the grassed backyard area, shaded by palms and swing from the pod chair nestled amongst the tropical trees.